Late medieval vernacular literature offers extraordinary evidence for a wide variety of questions of contemporary historical research; its study has recently become one of the hot topics in interdisciplinary medieval studies. This project offers a new approach to this emerging field in two respects: It covers a region (Bohemia) and a linguistic field (Czech, German, Church Slavonic) that have so far been ignored in this respect, in spite of their extraordinary heuristic potential; and it aims at pushing forward methodological reflection in order to explore the full range of research questions for which vernacular texts can be used as evidence. It purports to make a large body of sources accessible to the international scholarly community, and at the same time, to rewrite some of the history of a key region of late medieval Central Europe. It can thus bridge the gap between Czech medieval studies that are still in part under the spell of old national master narratives, and historical research on a European level; and it can feed into the European scholarly community the methodological advances possible on the basis of the fascinating case of Bohemia, a complex and little-known material that complements the better-known western sources. The project aims at a comparative study and a European contextualisation of late medieval vernacular religious literatures. It concentrates on Czech religious literature in the second half of the 14th century, a body of texts that allows to explore, among others, the symbolical role of the vernacular for the formation of identity in the field of tension between the Holy Roman Empire, the Czechs and the Germans, and the changes in religious discourse and in the social configuration of those who controlled it. 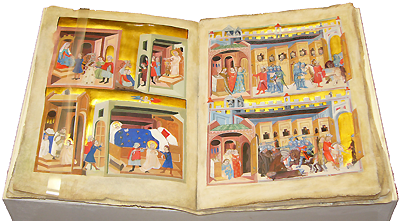 The project will seek to contextualize the production of vernacular religious literature in Bohemia (a) in Latin intellectual culture and (b) in the development of vernacular literatures in European countries, especially in other parts of the Holy Roman Empire, in France and in England. This contextualisation will be based on a reconstruction of (1) personal networks whose members were engaged in the production and distribution of vernacular religious literature, and (2) the textual communities involved, i.e. the relationship between the reception of key texts of Christian theology in different languages in a given time. The study departs from the hypothesis that the introduction of the vernaculars into dominant theological discourse in 14th-century central European society was the achievement of European communicative networks of intellectual elites, who successively charged the vernaculars with symbolical significance at the expense of the dominant Latin. The process of linguistic translation as a part of cultural translation thus reached a new phase, characterized by an increasing dynamic of vernacular religious discourse, a changing role of the lay audience and a growing demand for religious education in the native language. This dynamic is an important element in the transformation of social identities in the late Middle Ages and into the early Modern Age. Initially, latinized elites who were used to act and think globally were the protagonists of an effort to render a complex world more comprehensible to a larger public. As ‚first interpreters' or ‚cultural brokers' they selected adequate material from a large reservoir of cultural semantics, formulated and interpreted them and articulated them in multiple ways within the frame of Christian doctrine. I describe this form of articulation as the ‚vernacular mode': the establishment of a new, more accessible repertoire of identification to achieve cognitive stabilization, which also resulted in an empowerment of new participants in the negotiation of social values. It was aimed at reducing the degree of contingency in a society of growing complexity by involving new groups in the communication within a sophisticated, but well-structured theological and philosophical discourse. This had a paradox effect, because the boundaries between relatively clearly demarcated discourses (theological, pastoral, juridical and political) were thus dissolved, but the attempt to create a more inclusive social discourse led to a new fragmentation. With the introduction of the vernacular, the elite groups who controlled the production of texts were reconfigured and new models of identification became salient. This regards what has been described as a Czech ‚proto-nationalism' of the late Middle Ages, but the project will reopen the question of whether the main issue was the formation of a national identity. At the same time, a new virulence of religious identities can be observed (which, for instance, fuelled the Hussite conflicts), and a growing self-esteem of lay groups who had gained access to education in the vernacular. In short, vernacular texts played a key role in the transformation of society from c. 1350 into the 16th century, perhaps not as prime movers, but likewise not as simple reflections of social change. This project looks at vernacular literatures as social categories (see also Burke 2007: 9) that allow to reconstruct the complex process of identity formation in individuals and in social groups. It thus takes a genuinely historical approach which will be pursued using methods of Slavic Studies, Studies of Literature and Textual Studies. The project is localized at two participating institutions that offer the necessary infrastructure and research environment: the Institute for Medieval Research (IMAFO) of the Austrian Academy of Sciences (OEAW) and the Centre for Medieval Studies (CMS), a research unit of the Philosophical Institute of the Czech Academy of Sciences (ČAV). The ressources available at Viennese and Praguese scientific institutions and libraries are of immense significance for the theoretically and methodologically ambitious design of the project. Recently granted collaborative projects localized at both the institutions - VISCOM (2011) and SCIRE (2011) in Vienna and 'Cultural Codes' (2012) in Prague - bring various opportunities for collaboration within the respective institutions and provide solid basis also for a setup of a solid research network in Austria and Bohemia. Origins of the Vernacular Mode. 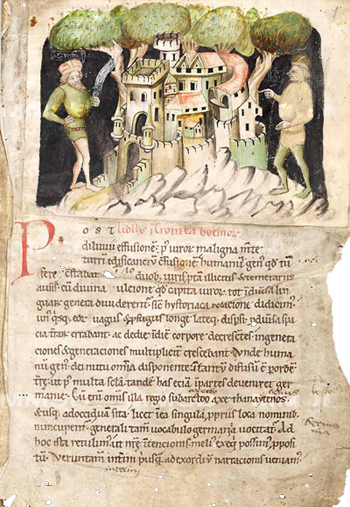 Regional Identities and European Networks in Late Medieval Europe is an ERC Starting grant funded by the 7th Framework Programme - The Study of the human Past (Contract Number 263672).